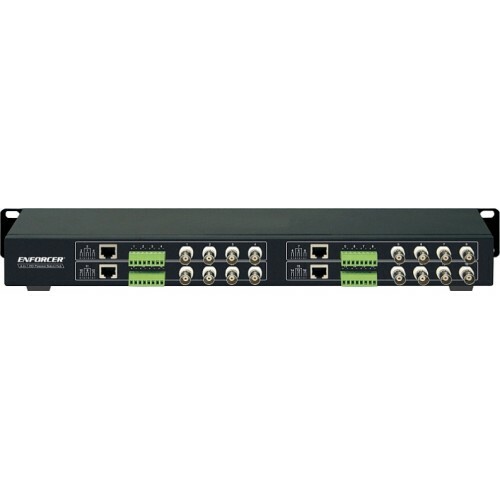 The ENFORCER 4-in-1 HD 16-Channel Passive Balun Hub allows HD CCTV cameras to connect to a DVR, video switcher, or multiplexer via inexpensive Cat5e/6 unshielded twisted pair (UTP) cable. 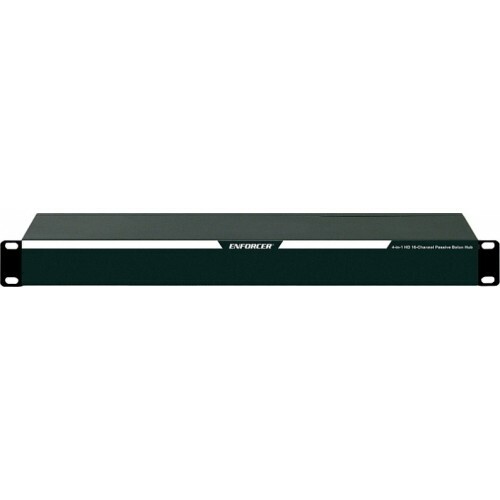 This balun hub is a great way to cut the cost and complexity of security networks by eliminating the need to run expensive coaxial cable to multiple HD CCTV cameras. ​*Actual range depends on format, resolution, and cable quality.